From 250 to 1.500 kg lifting capacity. 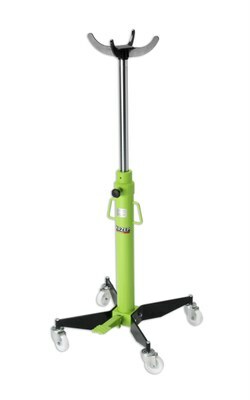 4 castor wheels for easy maneuverability. Foot operated pump keeps hands free. Load saddle swivels to enable-all direction operation. Packed in strong cardboard box. An adaptable head allows a variety of jobs to be undertaken safely.